With spring, comes spring cleaning. I have been going through a rather frenzied phase of Marie-Kondo-esque decluttering these past few weeks. I sorted out my clothes (does this skinny pair of black jeans from Topshop that makes me look like I am 2 kgs less than I actually am, give me joy? Hell yeah it does. ), my shoes, my handbags and other knick knacks. And my kitchen cupboards too. 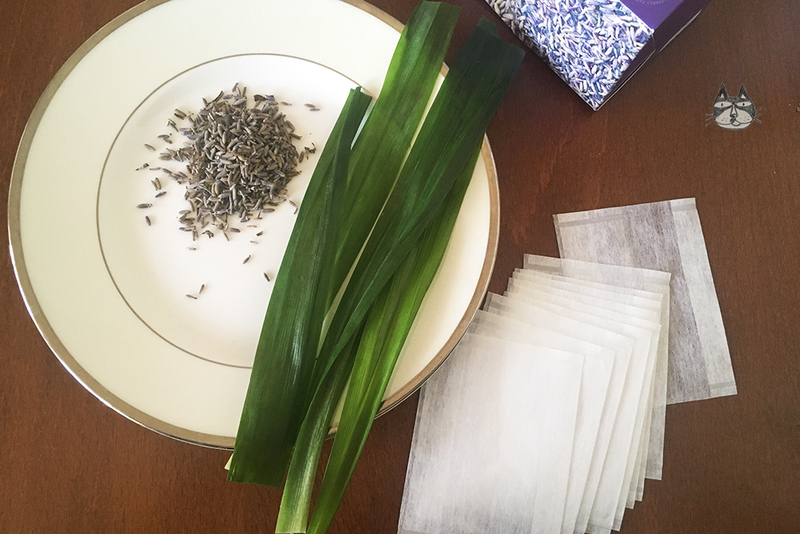 This gives me a thought – what if I make my own scented sachets than buying them from the store? 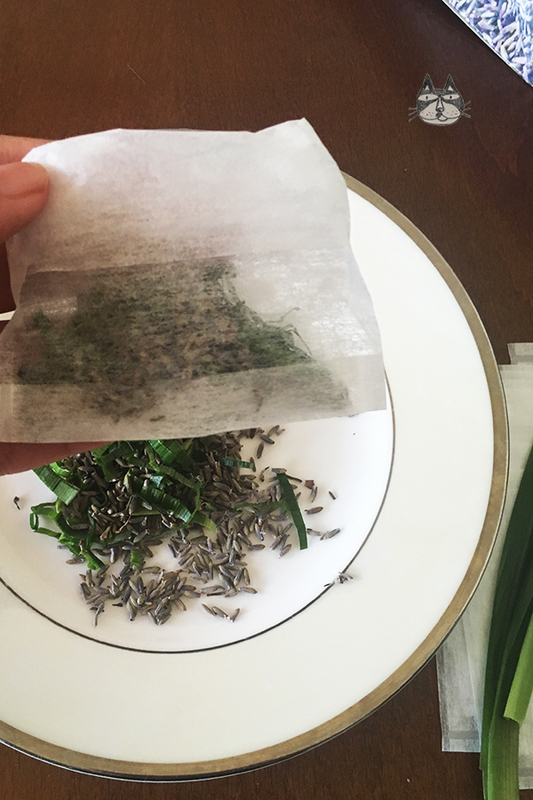 In Malaysia, my old nanny used to tie pandan leaves into a knot and place them inside the kitchen cupboards, and it is supposed to keep away bugs and make them smell nice. It is also a wedding tradition to have shredded pandan leaves mixed with flower petals, to be given as gifts and it is called ‘Bunga Rampai’. 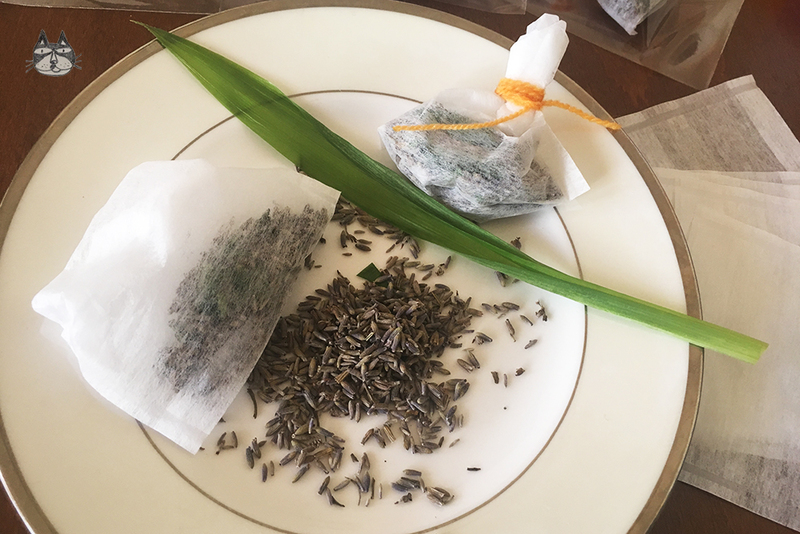 I have decided to combine the pandan with lavender (since I have an abundance of both), and boy, it smells very nice! You can find pandan leaves in most specialist or Asian grocery stores. Lavender buds are easy to find too (I have culinary lavender), and you can order them online. 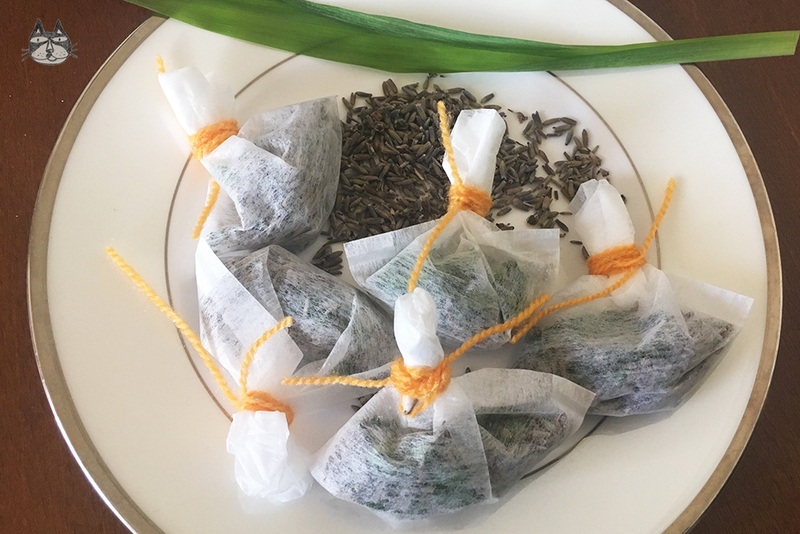 Empty teabag sachets work great to make these tiny sachets! Smells heavenly, I tell you! a big handful of lavender buds. 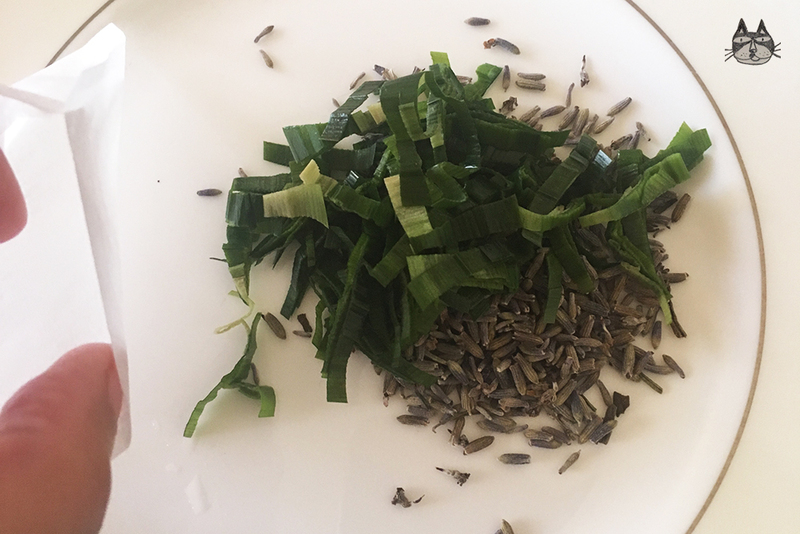 Cut the pandan leaves into tiny strips, and mix them with the lavender buds. 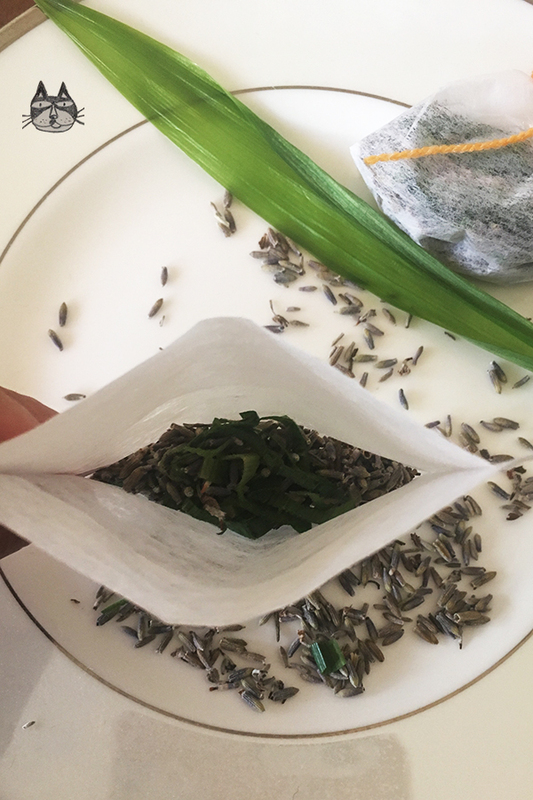 Place the mixed leaves and buds into the sachet, but not too full. Leave some space so you can tie the sachets tight. You can now close the sachet and tie with the string. I stapled it shut to act as an extra safety feature. Continue with the rest of the empty teabag sachets, as many as you want! Place them in your drawers and cupboards.